The Fund estimates that subsidies cost the region $237 billion annually. IMF chief Christine Lagarde urged Arab countries going through democratic change to phase out costly subsidy systems on Monday, but drew a cautious response from regional finance ministers wary of the social impact of such steps. The International Monetary Fund chief said Arab countries pursuing democracy should keep up structural reforms and phase out subsidies systems that the Fund estimates cost $237 billion annually across the region. She also said average economic growth rates of around three per cent in the Arab world were not enough to meet the needs of a growing workforce in a region where rural poverty rates are high. 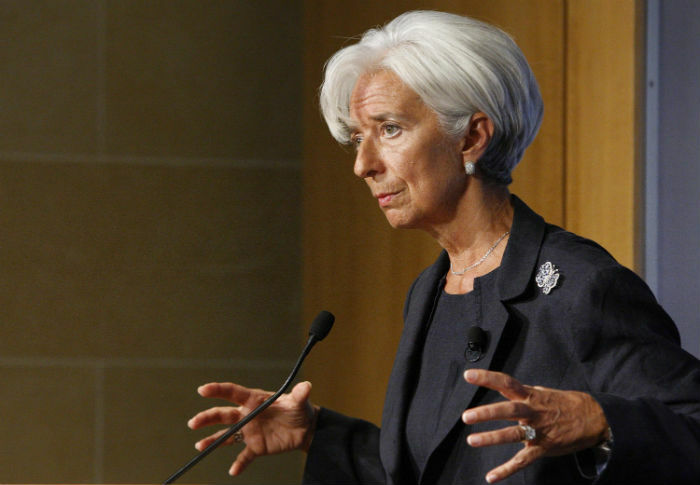 “The growth that we are seeing on average in the region at about three per cent would have to significantly increase in order to respond to the demands of the young population that is waiting to join the job market,” Lagarde told participants at an IMF-sponsored conference in Amman. Finance ministers from around the region agreed that reform of subsidies that take up a big chunk of their budgets’ current spending was crucial. But they also said the social costs were a major factor preventing faster reform of their subsidy systems. Austere policies implemented by governments pursuing IMF-guided liberal reforms have been blamed for increasing social divisions and fuelling street protests in countries across the region. A clean bill of health from the IMF has long been crucial for aid-dependent, energy-importing Arab governments such as Tunisia, Jordan and Yemen that rely on Western donor support to held cover their budget deficits. Other officials and bankers said the IMF was only now drawing the lessons of the last few years, and rather than just cajoling aid-dependent Arab countries to meet tight fiscal targets without regard to the social costs, it was becoming more sensitive to their domestic challenges. Lagarde said that in Jordan’s case, the IMF had relaxed its fiscal targets in a $2 billion standby agreement struck in 2012 to help the Kingdom shore up its economy and mitigate the impact of a massive refugee spillover from conflict-torn Syria. The conference, called “Building The Future”, was the first of its kind since the Arab revolts, bringing together not just ministers but also civic groups and critics of IMF policies, which they blame for some of the past unrest in their countries. Lagarde said there were signs that the economies of countries such as Morocco, Tunisia, Jordan and Egypt were stabilising after more than three years of unrest and political upheaval, but that more work needed to be done. “This stabilisation is fragile and needs to be consolidated by continued discipline and that momentum of reform that has already been underway without receding,” Lagarde said.